Shinobi_X wrote: And my Ulysses 31 and Mask box sets..
We collect 80's cartoons on dvd, as there is no chance on them being released on Blu-ray. Gots a nice little collection of them. I now collect Dvds of films that no longer get shown on TV but I used to watch a lot. My fear is that films I want to see will no longer be available. And I don't own a PC ..not that I trust that anyway. Lol. My brother had a decent size collection around 600. He has since culled it down to probably half of that. Myself, I only have the South Park series on DVD. It is something that I could easily stream but I love the psychical copies (hence retro games and music CDs too). Did contemplate selling them off recently but not really sure where I sit with that idea. 1.) A lot of shows and movies for a lot of reasons will never get the BR treatment or appear on streaming services, mainly because of expired rights or popularity. 2.) DVD special features such as commentary tracks and multi language options that aren't available via streaming. Or may have different features of latter releases. 3.) When DVD's get their BR transfer in too many cases a director will go back and change the colour timing or add effects and scenes. 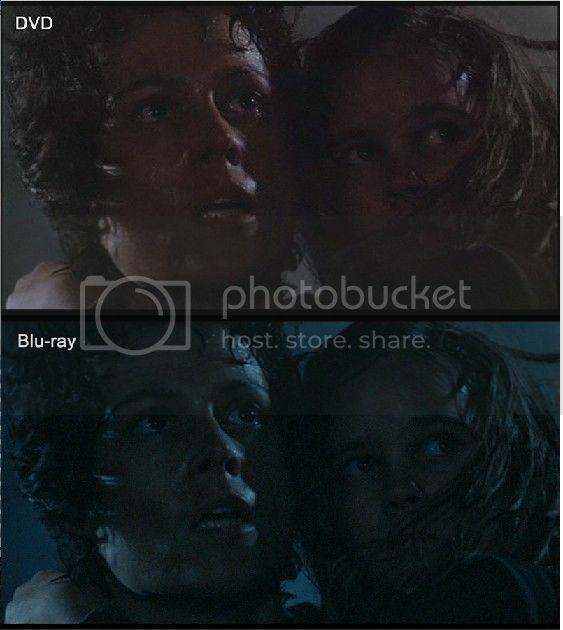 I'm a massive Aliens fan but the BR film has an entirely 'blue filtered' look which is nothing like the original cinema screening, VHS/DVD. For others I'm sure the original Star Wars Trilogy will be a better example. 4.) Too many BR releases are just upscaled DVDs, in the case of Escape From New York the laserdisc was already quite a poor print which was then put onto DVD which was then transferred to BR, yes the Blu Ray transfer was an upscalled laserdisc. , if you have a decent BR player DVDs still look amazing. I actually watched through my DVD LotR collection a few months ago and the image quality on my 50inch plasma was quite simply stunning. I still get DVD's, I don't think it's a waste of time or money. I've found that blu-rays are way cheaper now than they used to be, so I'll get the occasional blu-ray from time to time, too.